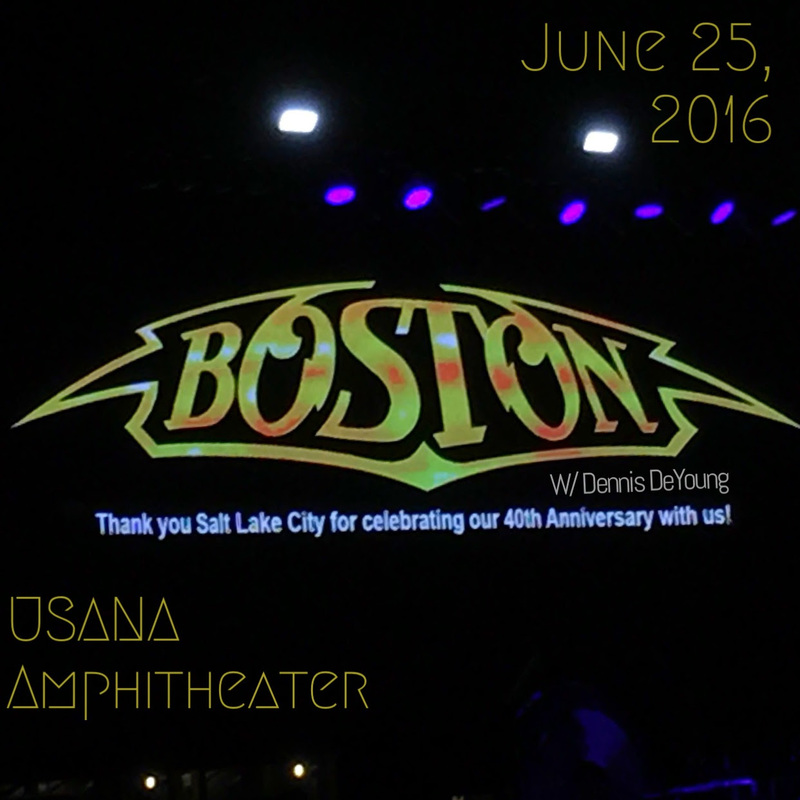 This past Saturday, Boston stopped by the USANA Amphitheater on their 40th Anniversary Tour. My main reason for attending this concert was to see their opener Dennis DeYoung. Dennis is one of the founding members of the band STYX. He was one of the lead vocalists, as well as a writer of many of their biggest hits. While I don’t usually go into much detail on openers, I really want to share my feelings about seeing DDY in person for the first time. I was a kid when STYX was releasing 5 multi platinum albums in a row. 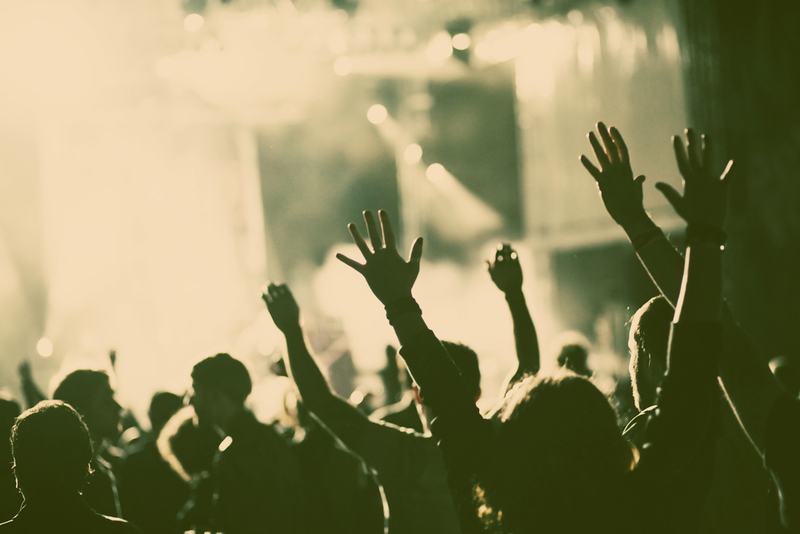 I had heard many of their songs, and was enthralled with the “Mr. Roboto” video. But it wasn’t until the late 90’s when boy bands and Britney Spears were ruling the airwaves, that I decided to look in the music vault and there I discovered STYX. I heard they were going on tour, so I went to their website to see when they’d be in town. I noticed that in the band pictures, Mr. DeYoung was not pictured with the rest of the group. So I did a little research and came to find that he was no longer a part of the band. His songs were my favorite so it was really disappointing. The history of his departure has been laid out in VH1’s “Behind the Music”, as well as plenty of interviews with the band. So if you want more info on that, there are places to find it. Anyway, I went to see the DeYoung-less STYX, and I will say it was a really fun show. But whenever they would do DDY song, as much as their new keyboard player and vocalist tried, he was no Dennis. He was a solid performer too. But there is nothing like the original in most cases. So from that time, until now, I’ve been really wanting to see Dennis DeYoung perform his songs. And this past Saturday, there he was, opening for Boston. Dennis performed for 45 minutes, and it went quick! He opened with “Grand Illusion”, “Lady”, “Blue Collar Man” and then “Mr. Roboto”. A song that STYX never does. And say what you will about that song, it was a huge hit for them, and it was well received by the crowd. He was really engaging with the audience, telling jokes, and interacting with fans in between songs. He even performed STYX songs that he didn’t sing lead on. For these gave way to his lead guitarist August Zadra, who did an exceptional job filling in for Tommy Shaw. As I mentioned, for someone who has really wanted to see Dennis DeYoung for over 15 years, the time went fast. He ended with “Come Sail Away”, and the crowd was singing along, and into it as if he was closing the entire show. When I saw STYX, I really missed DDY being there, but when I saw Dennis, I didn’t really miss the other guys. Maybe it’s because I’ve already seen the other guys of STYX, or maybe it’s due to always really liking Dennis’ songs. Hard to say. But I do remember thinking that these guys would put on an amazing show if they were all together again. And that sentiment was felt by many of the fans there at USANA. When Dennis was finished, I ran to wait in line at the restroom. Manyof the guys in line with me, as well as people walking by were talking about how great that show was. Several mentioned how great it would be if Dennis was to rejoin STYX. One can only hope! As I mentioned, I attended this concert to see Dennis DeYoung. But don’t get me wrong. Boston has been a huge band my whole life. I have many friends who are die hard Boston fans. I have never seen them, so I was looking forward to seeing them. Boston came out with guns blazing! Theyplayed four of their biggest songs, of course starting with the “Star Spangled Banner” leading right into “Rock N Roll Band”. They played hit after hit much to the delight of this surprisingly much older crowd. I don’t know why I was surprised by that, Boston has been around for 40 years. Tom Scholz is the only remaining original band member still in Boston. But he’s the songwriter, producer, etc. So I suppose if he’s still in there, it almost doesn’t matter who else is with him. Some of the current band members have been with Boston longer than some originals. I found them all to be very accomplished, and great performers. I was really impressed with Tommy DeCarlo. A Boston fan who replaced Brad Delp on lead vocals after his unfortunate passing in 2007. He sounded great, and fit the Boston sound everyone is accustomed to. Another favorite band member of mine was Beth Cohen on keyboard and backing vocals. She was so into the show, covering all the incredibly high harmonies that we love. She even took the lead on a track or two. Her voice was amazing! The order of the setlist to was really peculiar to me. Keep in mind this is my first Boston show, so maybe they have always done things like this. As I mentioned, they sang a ton of huge songs right off the bat, and then the 2nd half of the show felt like it was mostly instrumental. I would have thought they would have placed the hit songs throughout the show while throwing in instrumentals in between. But again, maybe this is how they’ve always done it, so who am I to judge. Overall it was a really entertaining show, and I would probably see them again. It’s interesting to me with bands of this era. They’ve been panned in the annals of Rock n Roll history. They’ve been called “Sell-Out Rock” “Arena Rock” or “Corporate Rock”. But if you really listen, you’ll see that these bands are really talented. Of course, if you like Boston, make sure you get out to one of their shows. You’ll have a good time.